비즈니스 여행과 레저 여행을 모두 겸비한 Hotel San Pedro De Atacama 숙박시설은 도시에서 가장 유명한 지역인 샌 페드로 드 아타카마에 위치해 있습니다. 이곳에서 생생한 도시의 모든것을 쉽게 즐기실 수 있습니다. 또한 루타 트로페라, 아타카마 커넥션, 불캐노에 가기도 편리합니다. Hotel San Pedro De Atacama에는 다양한 시설이 있어 산페드로아타카마드에서의 시간을 풍요롭게 해줍니다. 24시간 프런트 데스크, 레스토랑, 세탁 서비스, 바(Bar), 안전 금고 등 적지 않은 시설들이 있는 Hotel San Pedro De Atacama 숙박시설은 도심에 있는 다른 호텔들과 비교하여 현저하게 독특합니다. 또한, 모든 객실은 편안하고 안락하게 꾸며져 있습니다. 대부분의 객실에서는 고객님의 편안함을 더하기 위해 난방, 전화기, 위성 방송/케이블 방송, 객실 내 안전 금고, 욕조 등의 편의 시설을 제공해 드립니다. 운동을 좋아하는 사람이나 힘든날을 뒤로하고 피로를 풀러 방문하는 모든 고객들에게 최상급의 실외 수영장 같은 레크레이션 시설을 사용하실 수 있습니다. 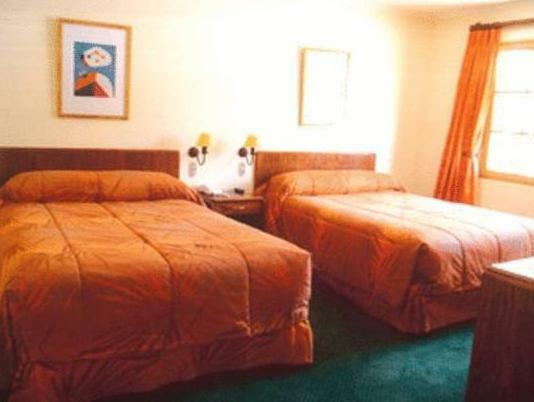 이상적인 위치와 시설이 잘 어우러진 Hotel San Pedro De Atacama 숙박시설은 다양한 옵션을 마주 할 수 있는 곳입니다. LOCAL TAX LAW Based on local tax laws, all Chilean citizens and resident foreigners must pay an additional fee (IVA) of 19%. To be exempt from this 19% additional fee (IVA) the payment must be made in US dollars and a copy of the immigration card and passport must be presented. The passenger won’t be exempt from this fee when paying in local currency. In case of no show the invoice will be billed in local currency, including this additional fee (IVA). * This additional fee (IVA) is not included in the hotel rates and must be paid separately.